About to burst – A Monga Waratah (Telopea mongaensis). Photos: Alex Rea. 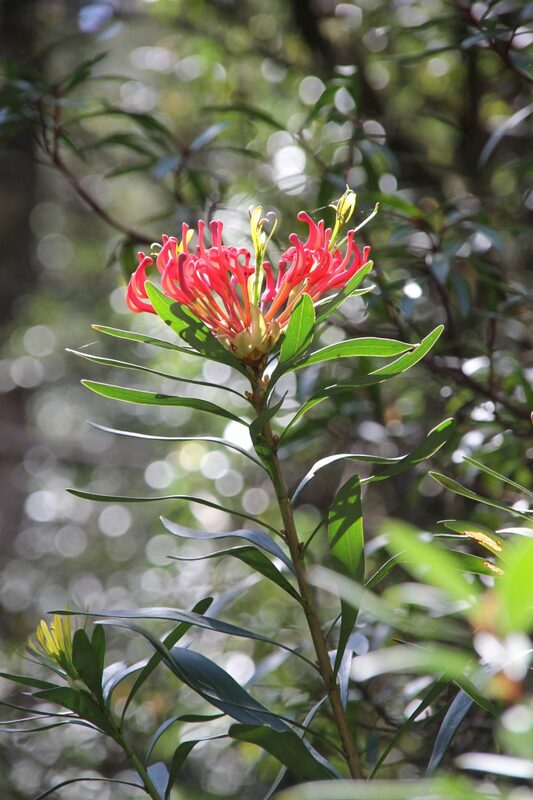 For just a few weeks a year, a small and delicate waratah can be seen at Monga National Park, 20 minutes east of Braidwood, just off the Kings Highway near Clyde Mountain. From late October the Telopea mongaensis brings a contrasting splash of red to the variations of green along the Mongarlowe River. 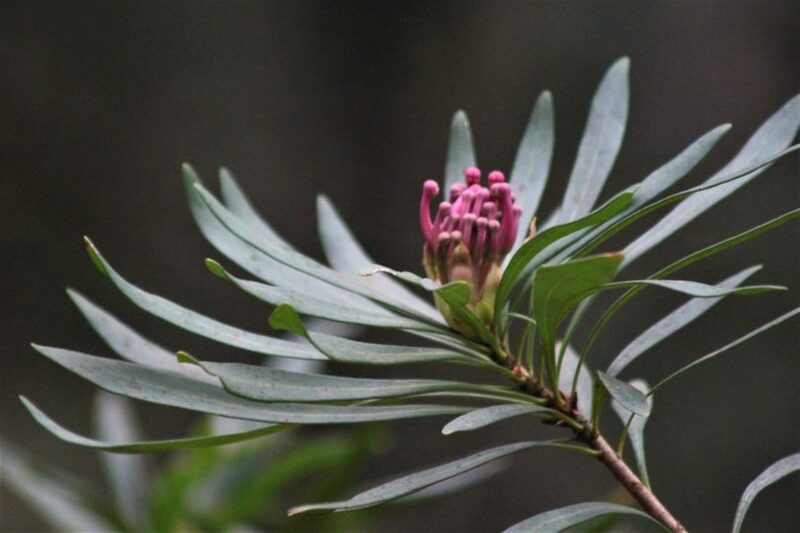 This little-known Monga Waratah, a shrub up to 4 metres, grows in the shady cool moist temperate rainforest. Monga, which was under threat of logging in the 1990s, was made a National Park in 2001. 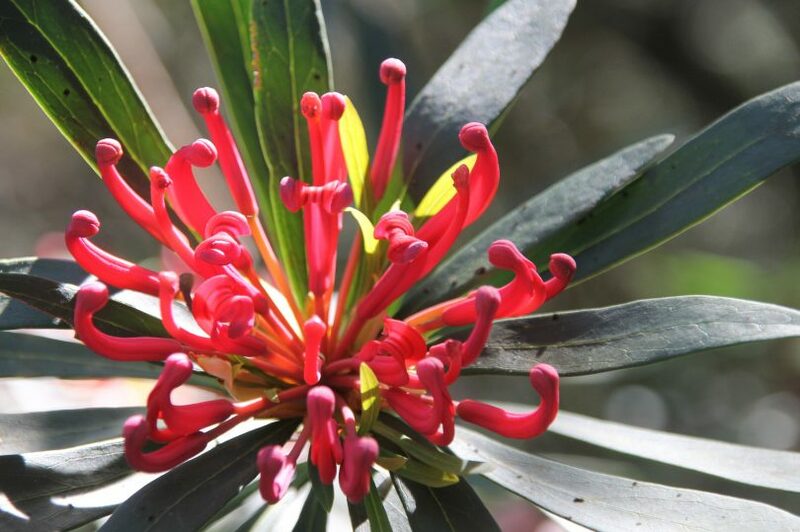 Many gardeners may recognise the cultivar “Braidwood Brilliant Waratah.” The Telopea “Braidwood Brilliant” is, in fact, a hybrid of Telopea speciosissima and Telopea mongaensis. Bred in 1962 by the Australian National Botanic Gardens, the name was not registered until 1974. A Monga Waratah in bloom. Many of the plants in Monga are related to the Gondwana times and present a glimpse into the ancient past. 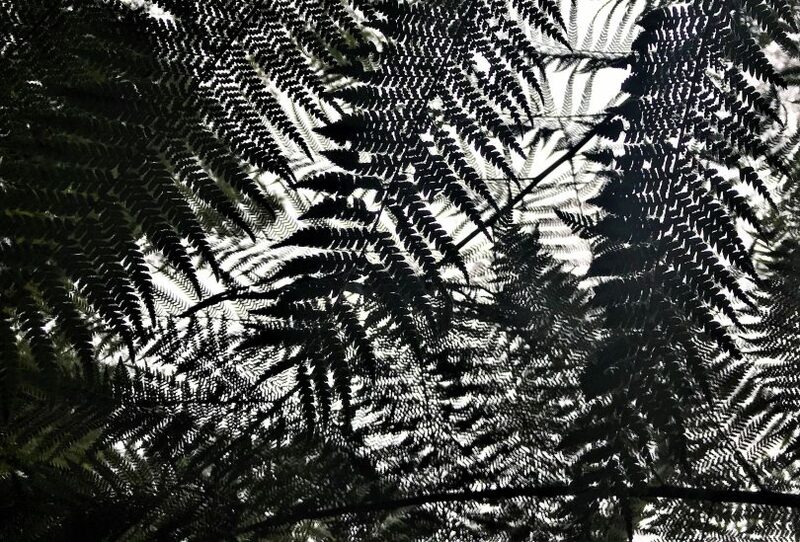 Amongst the plumwood trees and tree ferns there is ancient, Indigenous and European history. Some of the plumwood trees are thought to be thousands of years old. The Yuin and Walbunja people have inhabited the Clyde, Deua and Buckenbowra river areas for thousands of years. Following the signs from the Kings Highway, take River Forest Road. The unsealed road takes you through the former forestry settlement and there are signs to Mongarlowe River picnic area. There are picnic facilities, BBQs and toilets here. From here, take the easy walking track loop. You may even see platypus in the river, other native flowers and numerous birds. From the carpark at the picnic area, take the short walking track loop down towards the river and the flashes of red will emerge. 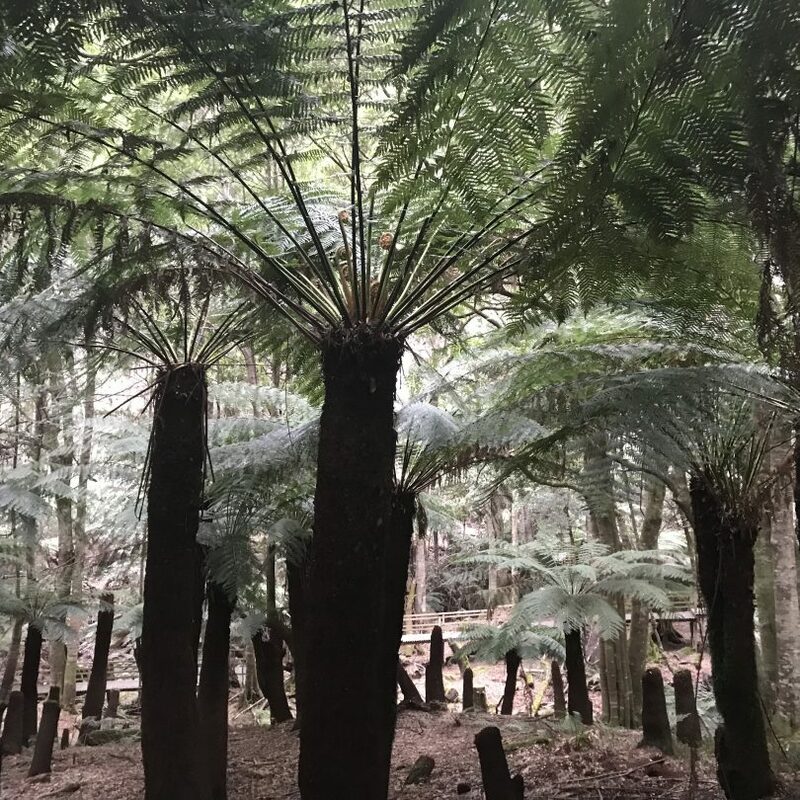 At Penance Grove, a few hundred metres on from the picnic area, there is a wooden boardwalk around the grove of ancient tree ferns, which is partly wheelchair accessible. 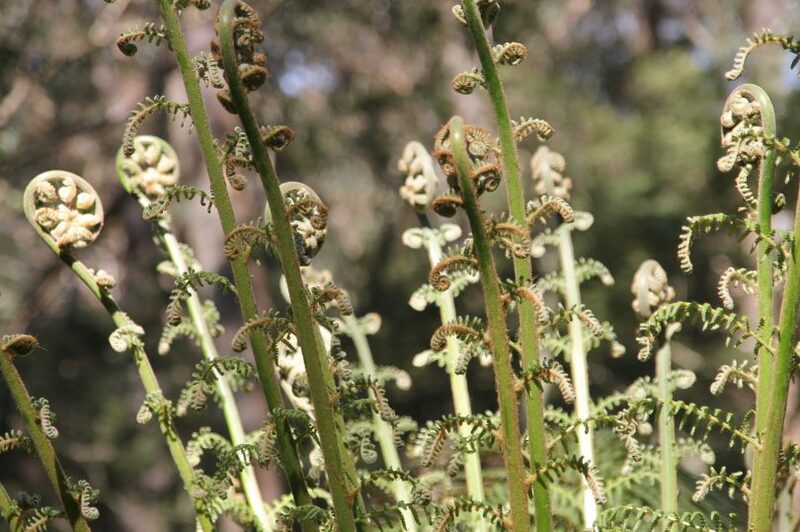 While some of the ancient ferns have been vandalised in the past, new shoots can be seen sprouting from the trunks. The Dasyurus picnic area is a short drive away by the banks of the Mongarlowe River. In the area, you will also find the start of the 12km Corn Trail – a walking and riding track used by Aboriginal people to travel between the coast and the tablelands. 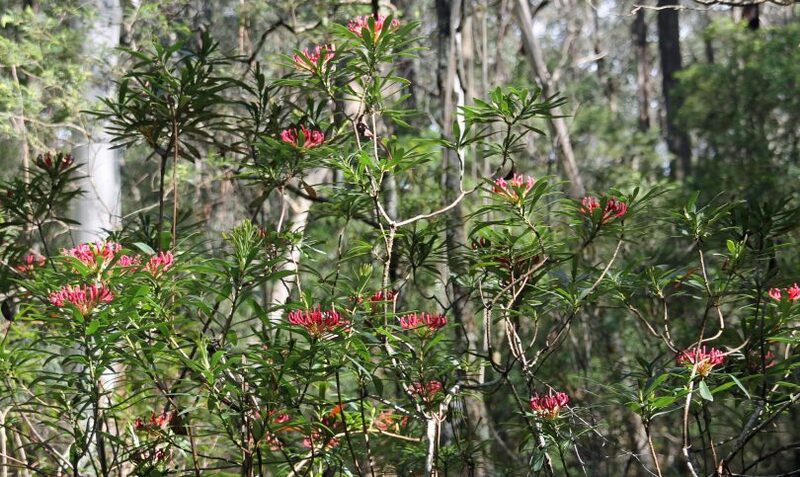 Monga Waratahs are seen in abundance on the trail. Reputedly used as a training run for people walking the Kokoda Track, the Corn Trail was the first trade route between the Buckenbowra Valley farmlands near the coast and the early European settlements on the tablelands near Braidwood. In the 1840s the area was busy with the timber trade and gold mining. The sawmill at Monga provided timber for Braidwood and the establishment of Canberra in the 1900s, with logging continuing in the area until 1987. The Grade for the track is rated as ‘Hard’, there is limited mobile reception in the area and the weather can be unpredictable. A carpark at the bottom allows you to do a car shuffle and have a vehicle and supplies waiting for you at the end, further down the Kings Highway. In a National Park, you are not allowed to pick the flowers, but the walk and discovery of the flowers is a tonic. Brochures are available at the Braidwood Visitors Information Centre or click here for more details. Sights you will see on the trail.